As this chart from Statista shows, that hasn’t always been the case. Apple’s software updates have become more and more demanding on older devices as newer devices are built with technology that’s able to handle them. 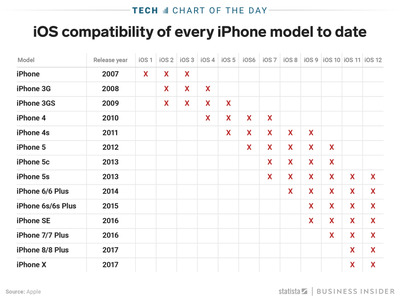 In the case of iOS 11, for example, the iPhone 5c and 5 were unable to support the update, so owners of those phones could not update beyond iOS 10. 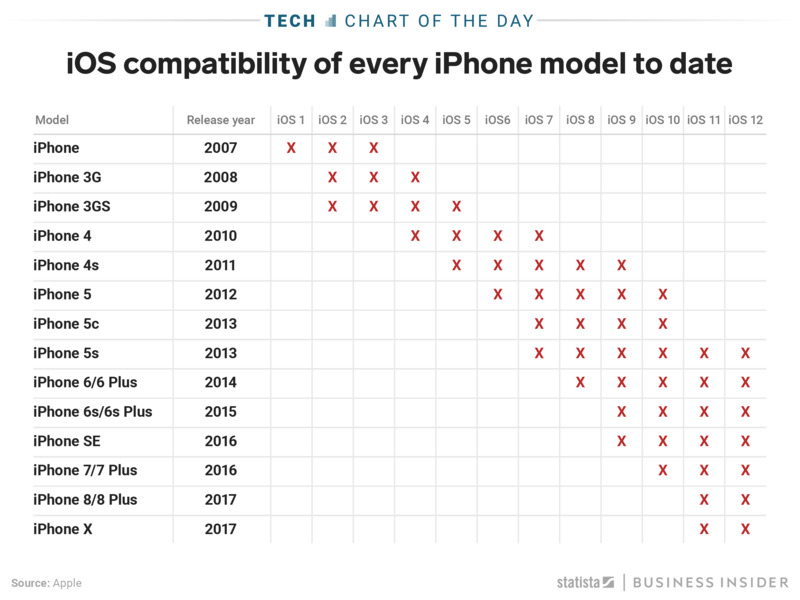 Part of the reason iOS 12 is able to support phones as old as the iPhone 5s is because of a software adjustment that ramps the phone up to its full performance potential as needed (e.g. when you’re loading an app) and then brings it back down more quickly to preserve battery. While the feature will make launching apps and using the keyboard faster on newer phones, it’s also an indicator that Apple is catering to older phones as more people are hanging onto their devices for longer.